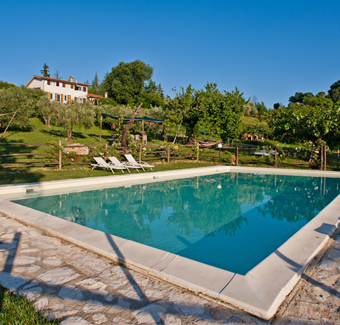 The pool recentely built is 14x7 square meteres with salt system depuration . 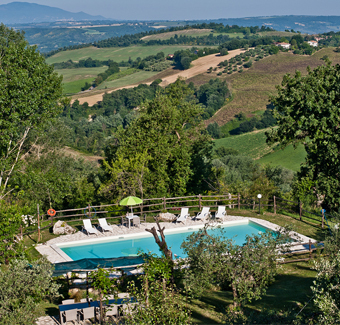 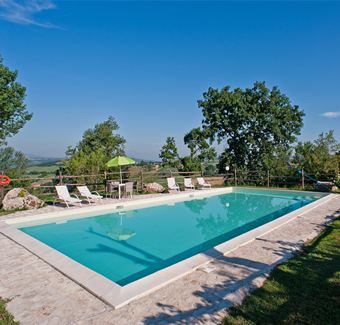 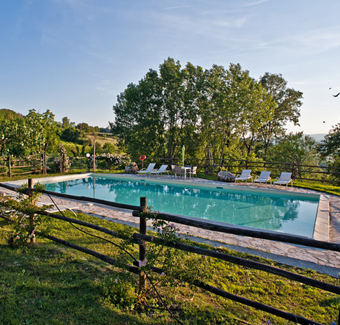 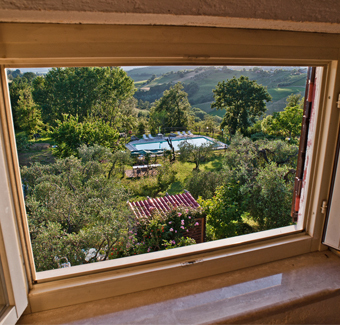 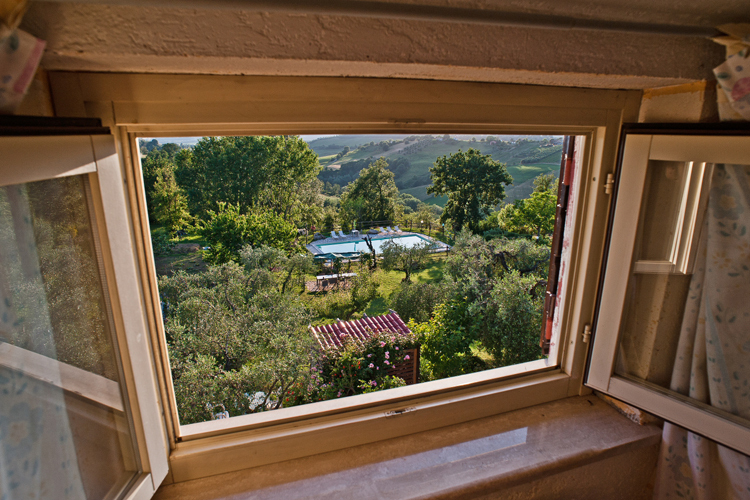 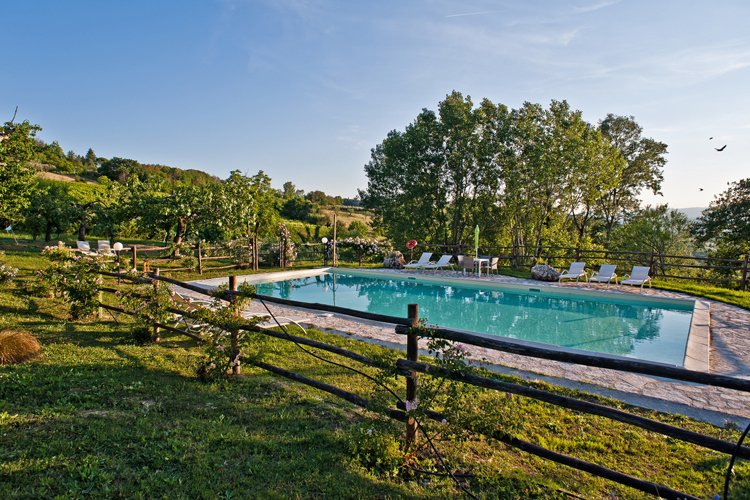 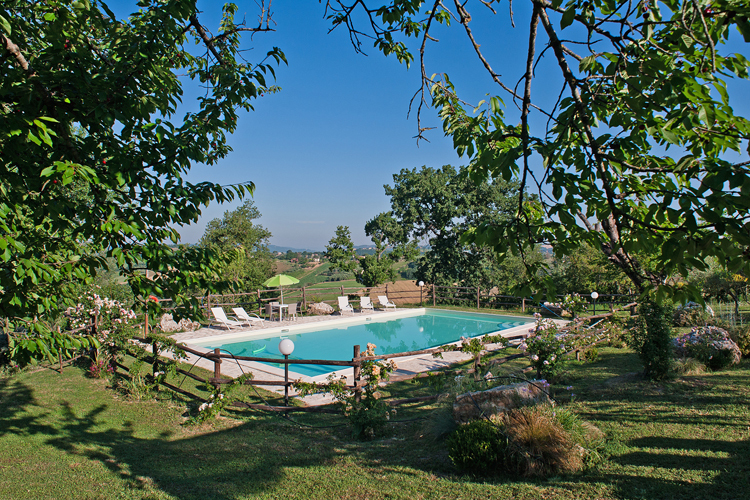 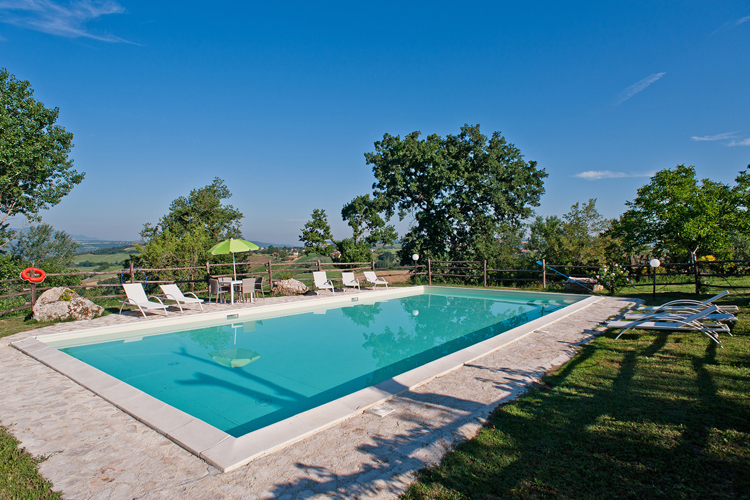 It offers a relax and sportive ambient it is very suggestive with a stunish view on Umbrian hills. 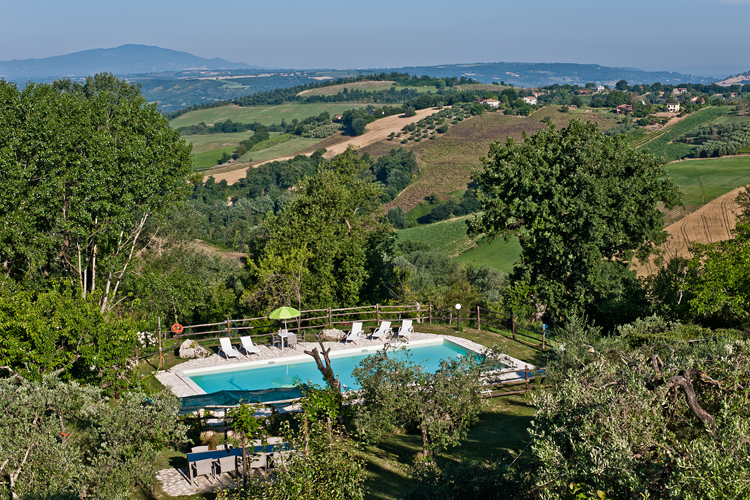 Large garden 2000mt is the perfect setting for eating and relaxing under a charming outdoor gazebos.The garden surrounds the smimmingpool has an unforgettable view on umbrian hills.